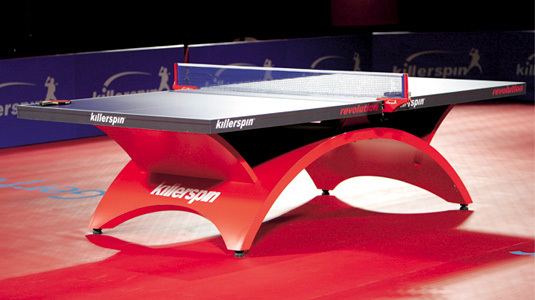 Killerspin revolution Table Tennis Table. Love this beauty! Soumyajit Ghosh and Poulomi Ghatak won grand double crowns at the All India Inter-institutional Table Tennis Championships. 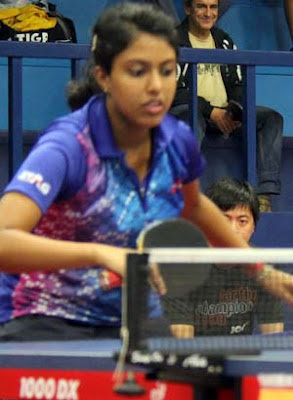 Soumyajit beat Sharath Kamal 4-1 while Poulomi beat Divya Deshpande by the same margin. 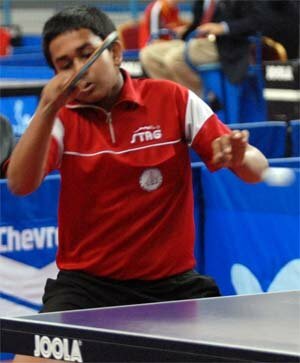 Earlier, Soumyajit had beaten reigning national champion, A Amalraj in the semi finals. Men’s singles: Soumyajit Ghosh (PSPB) bt Achanta Sharath Kamal (PSPB) 4-1 (15-13, 11-7, 11-9, 9-11, 15-13). Semifinals: A Sharath Kamal bt Harmeet Desai 4-2 (13-11,11-9,9-11, 8-11,12-10,11-8), Soumyajit Ghosh bt Amalraj 4-1 (11-7, 9-11, 11-9, 12-10, 11-3). Doubles: Harmeet Desai/Soumyajit Ghosh (PSPB) bt Devesh Karia/Sayan Paul Roy (CRSB) 4-1 (10-12, 13-11, 11-8, 11-8). Women’s singles: Poulomi Ghatak (PSPB) bt Divya Deshpande (PSPB) 4-1 (10-12, 11-7, 11-8, 11-7, 11-8). Semifinals: Poulomi Ghatak bt Ankita Das 4-0 (11-8, 11-9, 11-7, 11-4), Divya Deshpande bt Mousmi Paul 4-1 (11-9, 8-11, 11-9, 11-7, 11-6). Doubles: Poulomi Ghatak/Mouma Das (PSPB) bt K. Shamini/Mousmi Paul (PSPB) 3-2 (10-12, 10-12, 11-2, 12-10, 12-10). 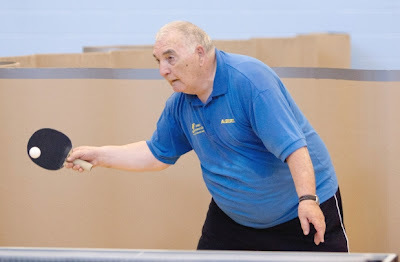 Read how the Veterans of Edmonton are getting fitter by the day by playing Table Tennis at the Central Lions Recreation Centre gym. Mustafa Erbas, who is 77 years young, helped establish the Central Seniors Table Tennis Association. Olympic gold medallists, Bob and Mike Bryan play Table Tennis pretty well. Read about their encounter against the best New York firefighting team. The Bryans won! 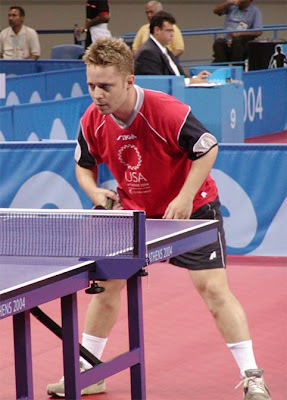 An avid Table Tennis player from East Grinstead, Vinal aims to eventually play for his country one day. 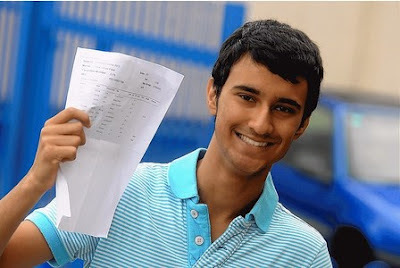 He will study Maths and Economics at Bristol University. Incidentally, Vinal scored A* in Maths and Economics at Sackville School. He now intends to study maths and economics at Bristol University, and hone his skills as a table tennis player so he may one day play for his country. 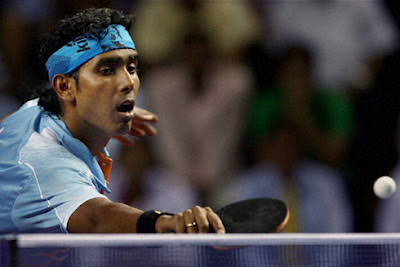 India's TT ace, Sharath Kamal will be in the Asian team that takes on Europe at Vendee (France). It is a huge prestige for Indian Table Tennis as his team mates are some of the World's top players - Chuang Chih Yuan (Chinese Taipei), Joo Saehyuk (Korea) and Niwa Koki (Japan). Another player from China will also be in the team. 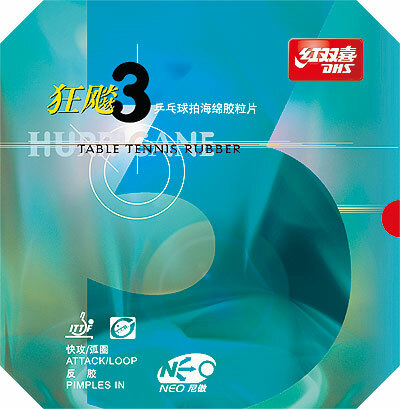 DHS Neo Hurricane 3, DHS TG3, and Galaxy Moon Table Tennis Rubbers have arrived! New stocks of Neo Hurricane 3, DHS TG3 have arrived! And so have Galaxy Moon Table Tennis Rubbers! The 3rd Maharashtra State Ranking Table Tennis Tournament will be held at University Pavilion, Marine Lines from 11th September to 16th September. Last date for giving entries is 24th August. 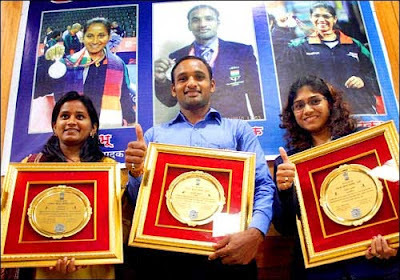 Sutirtha Mukherjee stole the limelight in the Guatemala 2012 Guatemala Junior & Cadet Open - ITTF Junior Circuit tournament by winning 3 titles! Congrats Sutirtha! Photo: Ayhika Mukherjee, who won the Cadet doubles along with Sutirtha. The 2nd Maharashtra State Ranking Table Tennis tournament will be held at Raheja Sports Complex, Opp. Raheja Garden, Off L.B.S. Marg Teen Hat Naka, Thane [West]. Events: Men’s , Women’s , Youth Boys , Youth Girls , Junior Boys , Junior Girls , Sub Junior Boys , Sub Junior Girls , Cadet Boys , Cadet Girls. Special heavy discount rates for Donic Coppa JO Gold, Donic Sonex, Donic Platin, Tibhar 5Q, and many others. We get a lot of questions on DHS Rubbers availability in India, Price, and their performance. Now available at Season's discounts for limited period. 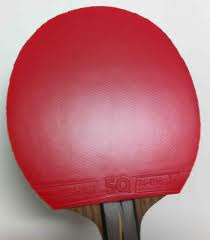 DHS rubbers are widely used in China and the very top players in the world use it on their forehand. You can see it in the videos and the way to spot it is by the blue sponge on the rubber. The most popular ones today are DHS Neo Hurricane 3 and DHS Neo TG3. A higher version called DHS Neo Hurricane 3 Provincial 6 Edges is also available. One thing to note about DHS rubbers is that they are sticky and need constant cleaning to keep the surface clean and performing well. In addition to this, the technique used to play with DHS rubbers is quite different. you need to be able to make a full swing of the arm for looping and also catch the ball at it's peak. For more details on price, availability, playing technique, and other questions, shoot an email to editor@tabletennisbug.com or SMS to 09822749251. Tibhar 5q - Top class in speed and spin. Very comparable to Tenergy and can act as an immediate substitute. Rakza 7 Soft - All round great in speed (very fast). Excellent for mid to near table play. Donic JO Platin and Donic JO Gold - All time popular and high quality rubbers for all levels. China wins the Men's Team Table Tennis Gold at London Olympics with a comprehensive 3-0 win over South Korea. It took Ma Long's power for China to advance to the finals of the Team event in the London Olympics because Timo Boll upset the newly crowned Olympic Champion, Zhang Jike. Ma Long beat both Ovtcharov and Bastian Steger. 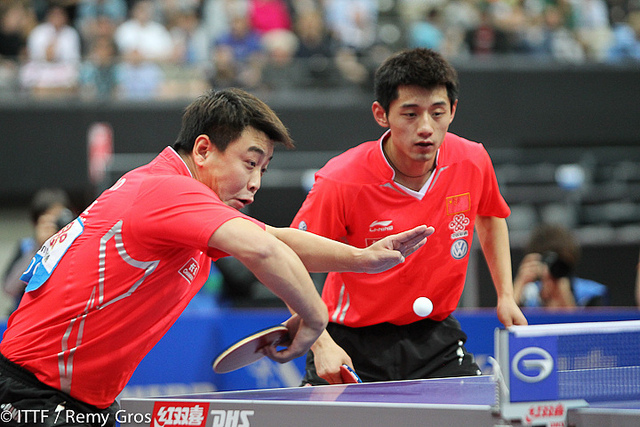 The Chinese doubles pair beat the Germans in between. In the other semi final, Korea beat Hong Kong quite easily, although they faced resistance in a couple of the matches. Experienced Ryu Seung Min played the strong man in that encounter. So, it was the players who did not compete in the Singles event, who played the main role. The finals will be played tomorrow. In the women's finals, China faces Japan, who beat the ultra strong Singapore team 3-0! 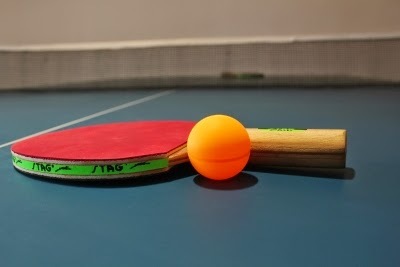 Natalia, the Polish Table Tennis player who fought gallantly against a defensive player and lost in the 3rd round of the Olympics, will now participate in the Olympics for disabled athletes. She is a favorite in that event. Natalia has only one good arm and she uses the folds of her skin at the elbow to hold the ball to serve! World Champion Zhang Jike quickly climbed to the all time greats list in a matter of two years by now winning the Olympic Gold medal. In 2011 he had won the World Championships. 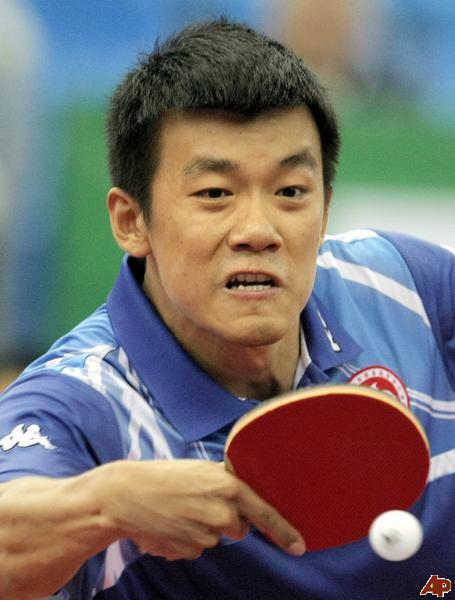 Jike beat three time Olympic finalist, Wang Hao 4-1. He almost assured himself of the top podium finish when he started with a 3-0 lead after a tough first game. Although the experienced Wang Hao made a good comeback winning the 4th game and leading in the 5th, Jike closed out the match 4-1. There was a minor controversy about a table edge point in the 5th game. 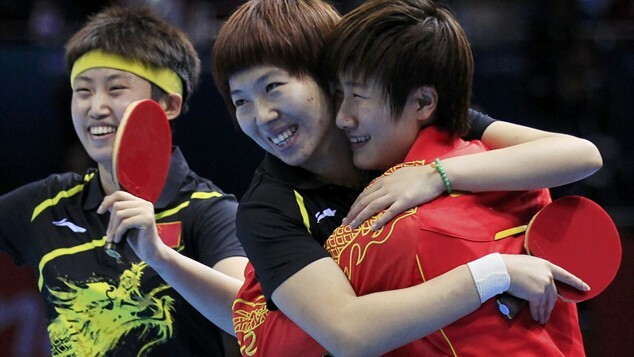 Li Xiao Xia is the Olympic Women's Table Tennis champion! Congratulations! 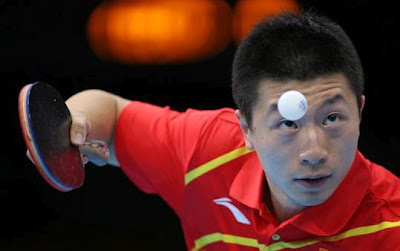 Zhang Jike beat Jiang Tianyi of Hong Kong 4-1 to reach the Semi finals of the London Olympics. Wang Hao won even more comprehensively against Seiya Kishikawa 4-0. 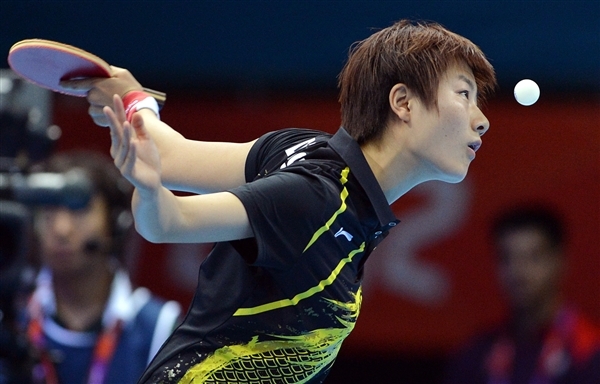 Jike faces Ovtcharov while Wang Hao faces Chuang Chih Yuan in the semi finals respectively. The semi finals will be played tomorrow. The Women's final match is to be held later today.